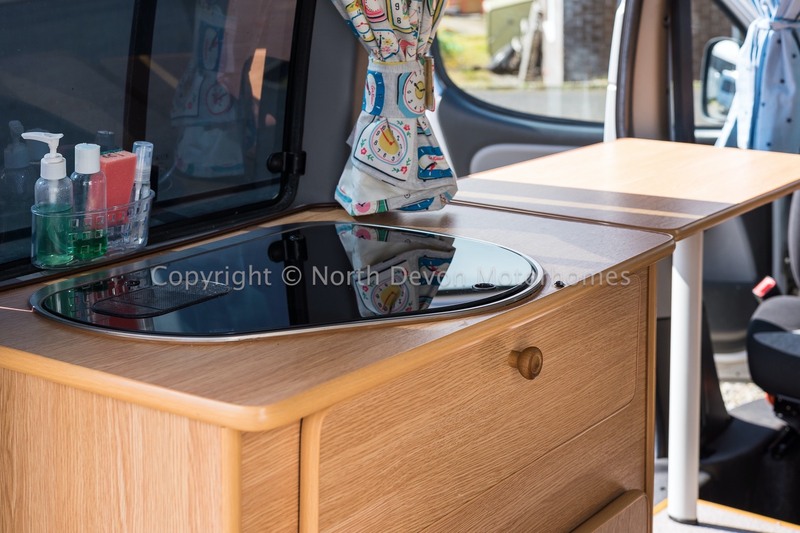 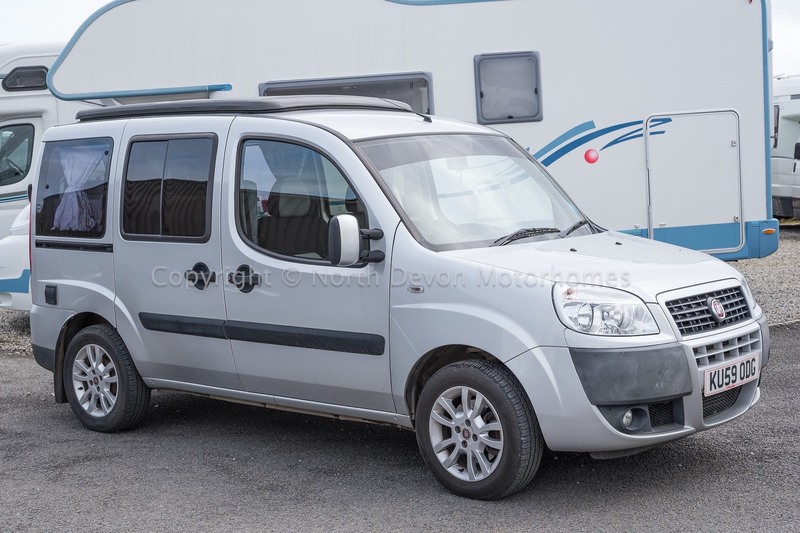 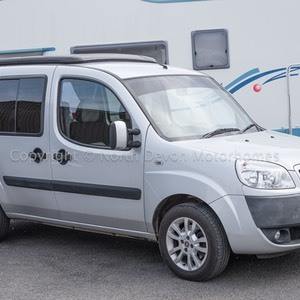 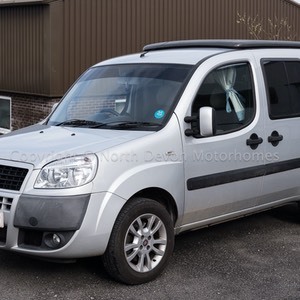 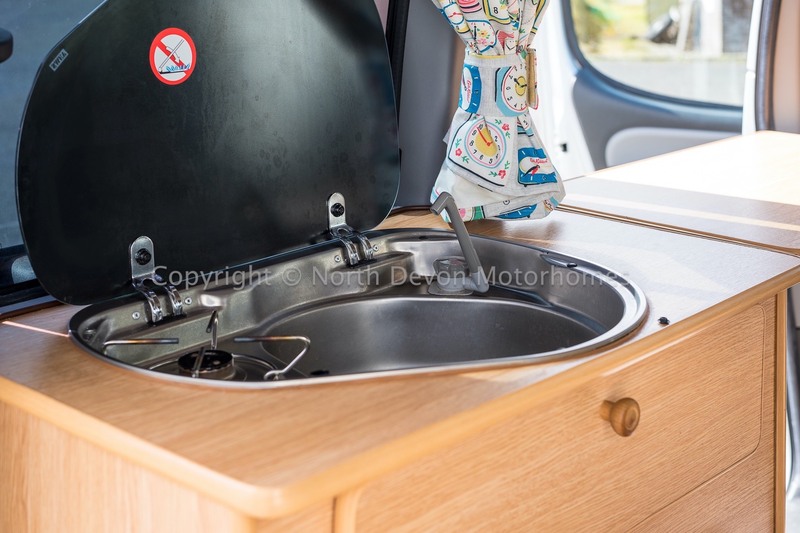 Fiat Doblo Urban Campers conversion Woodliegh 2 berth poptop campervan. 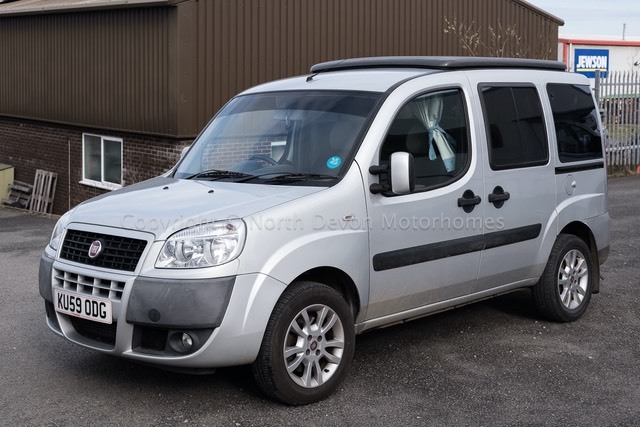 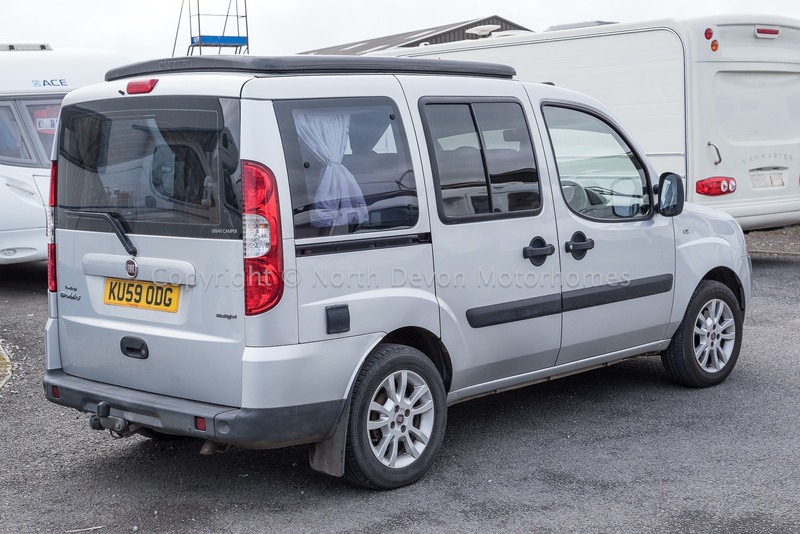 Based on a fabulous 2009 Fiat Doblo Dynamic Multi-Jet 1248 cc diesel with good service history and under 54,000 miles.
. 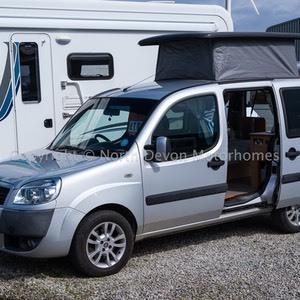 This little beauty is extremely versatile in that it can be used as a means of daily transport, with no restriction regarding parking due to its size, being able to fit on any driveway/garage, and not to mention the ability of driving into the quaintest of historic towns or fishing ports with their narrow winding streets. 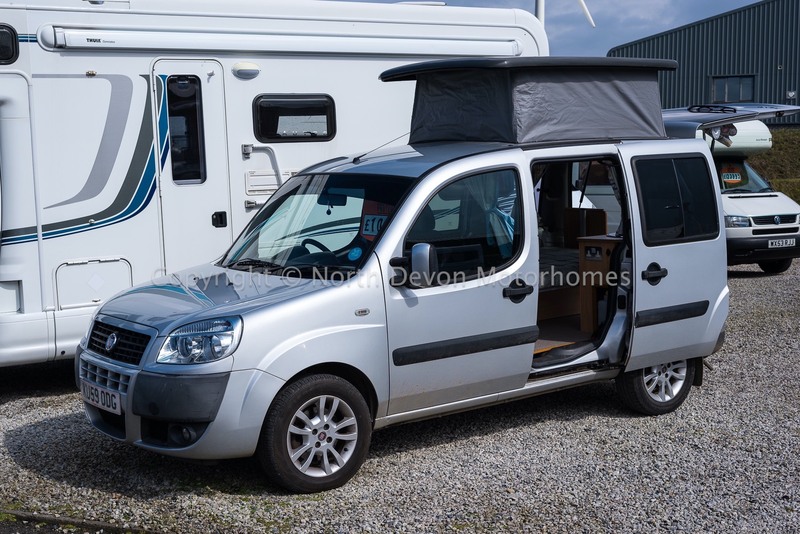 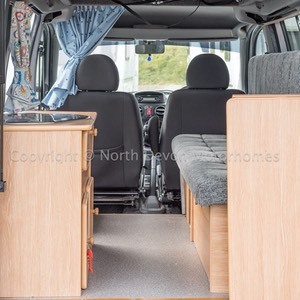 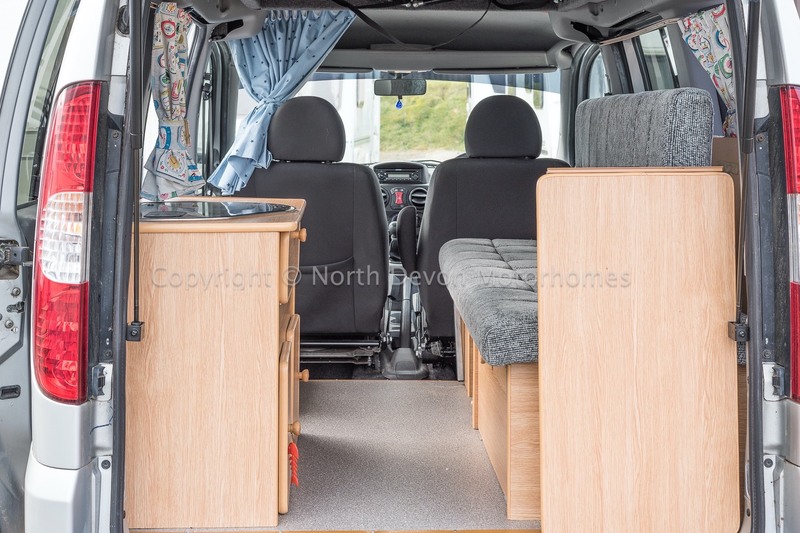 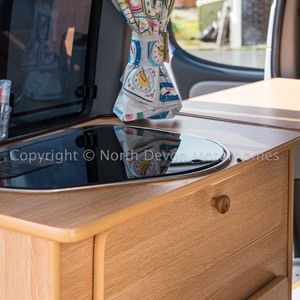 The bonus being this little beauty also doubles nicely as a lovely day van / weekend camper van for one or two persons. 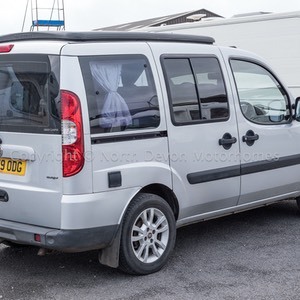 Cab: Excellent condition for the year and mileage with the benefit of Power Assisted Steering, Driver and Passengers Airbags, Electric Windows and Mirrors, Central locking, Stereo/CD player, Swivel passengers seat. 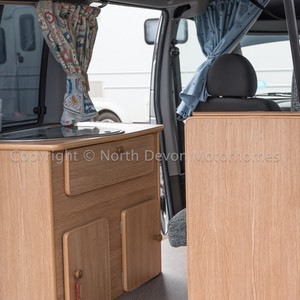 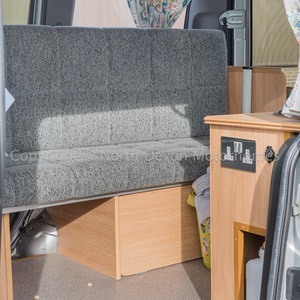 Layout: Sliding side door with opposing side settee, following through to the rear with a nearside rear side kitchen, through to rear tailgate exit/entry. 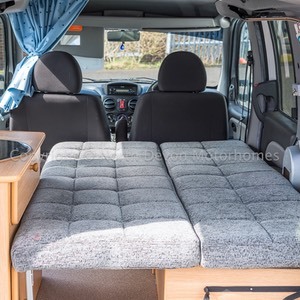 Sleeping: 2 berth either 1 x single or a small double bed. 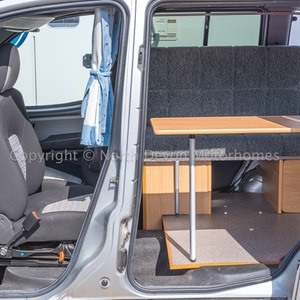 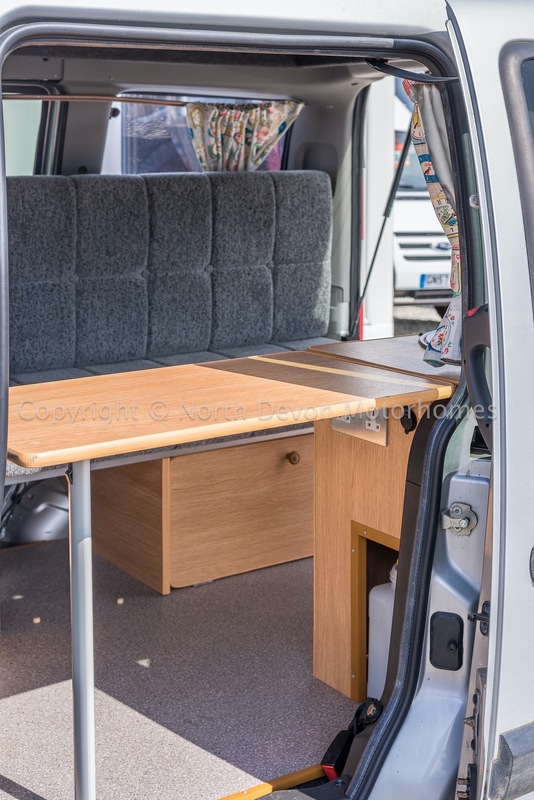 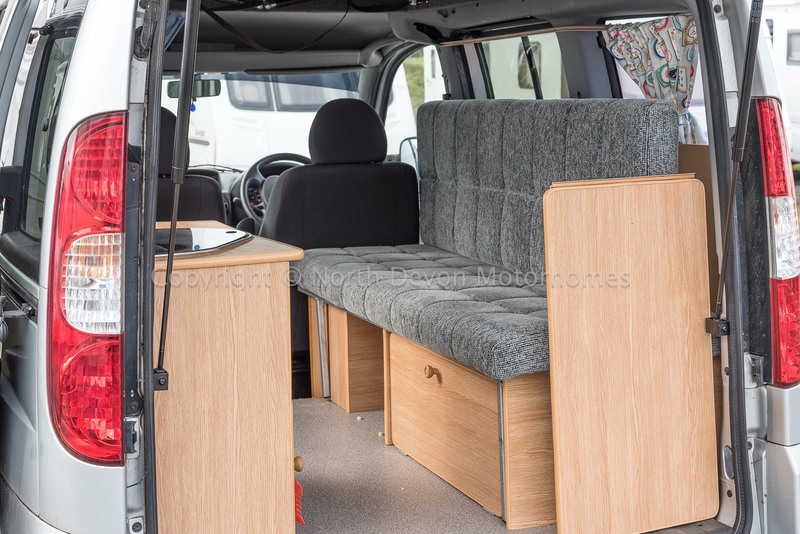 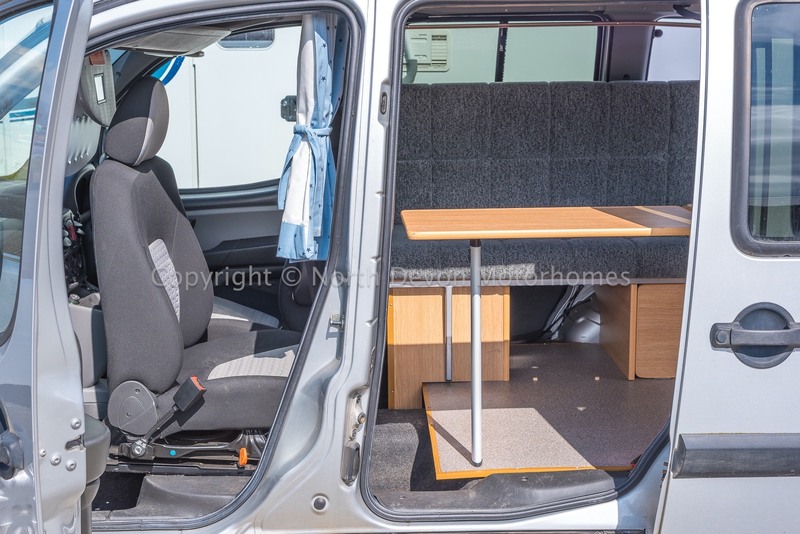 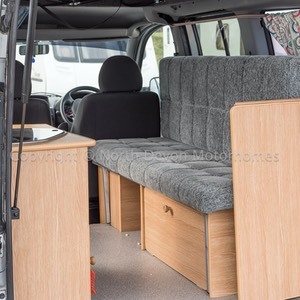 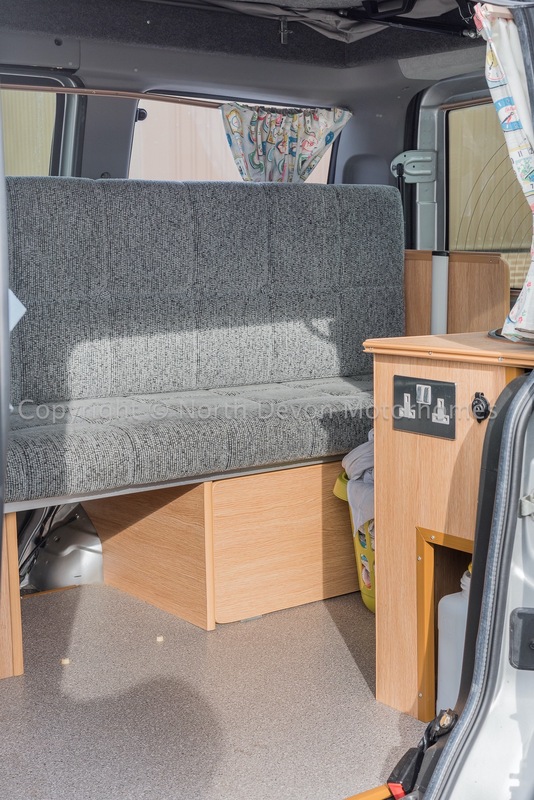 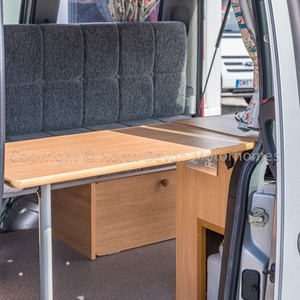 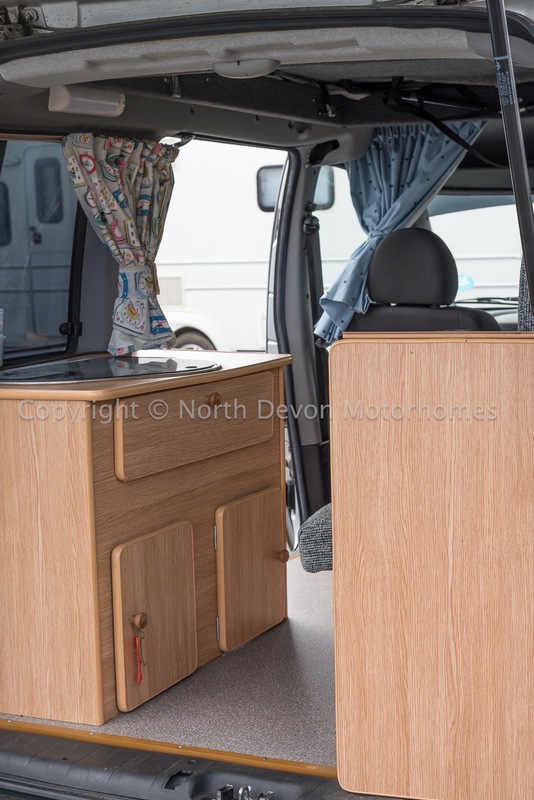 Lounge: The side settee provides good lounging, the front passengers seat also swivels allowing further lounging and dining options, with a handy storable table proving eating and food prepping possibilities. 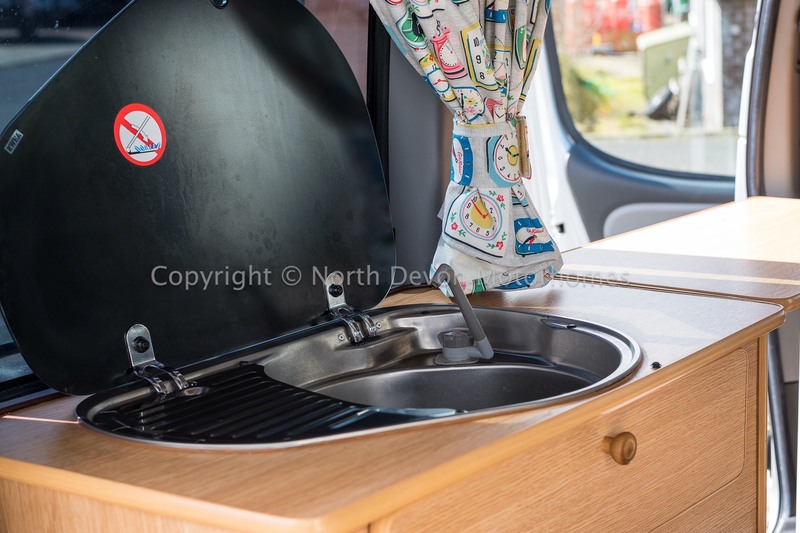 Kitchen; 1 burner hob, sink, fresh water tap, on-board freshwater container, cabinetry, stow-able table. 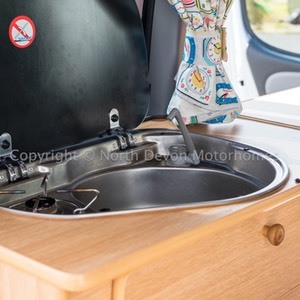 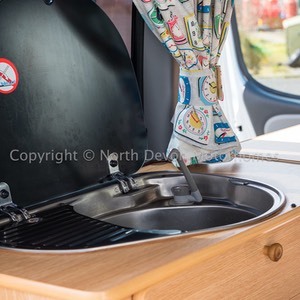 Electrics: 240 volt mains hook-up, 12 volt leisure battery with mains electric charger unit. Summary: An ideal small camper conversion that should prove economical to run and maintain, proving equally good in towns and cities but giving the chance of those well earned precious breaks away from it all. 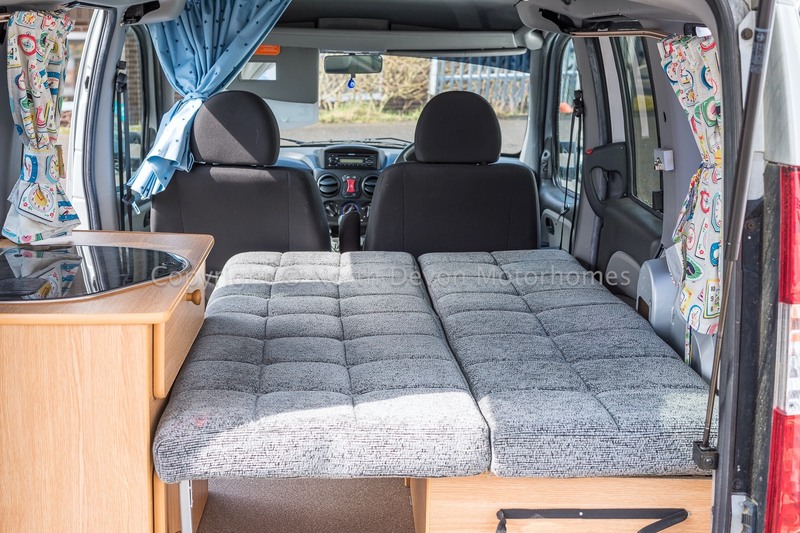 The price should not break the bank either being a perfect intro into camping/motor-homing.